Part of the Sony Xperia Tipo family are two different smartphones – the first one comes with one SIM card only while the second one supports the use of two cards. The Dual-SIM card phone comes with the exact same features as the first device, both of them being affordable and working fairly well. If you are one of the proud owners of such a device, you should read this article in case you’re in need of doing a hard reset on the Sony Xperia Tipo. Whenever you wish to sell your phone as brand new, erase all the documents from its internal memory, you lost the PIN code or the device isn’t working properly, this procedure will be able to save you. It only takes about 5 minutes to do it and doesn’t require any special skills. You can easily get rid of all software issues, such as lags, crashes, fatal errors and many more by following the indications in the second part of this article. Before you get started, you should not forget that this operation will erase the files stored on your RAM. In order to make a backup, you can use the microSD card supported by this device, which is able to store a maximum of 32 GB. You can save 2.9 GB on the internal memory, but anything important that has been saved here should be transferred to a different card, a cloud or another device. You can use the USB cable to connect the Xperia Tipo to a computer, laptop, tablet or even an external hard drive. 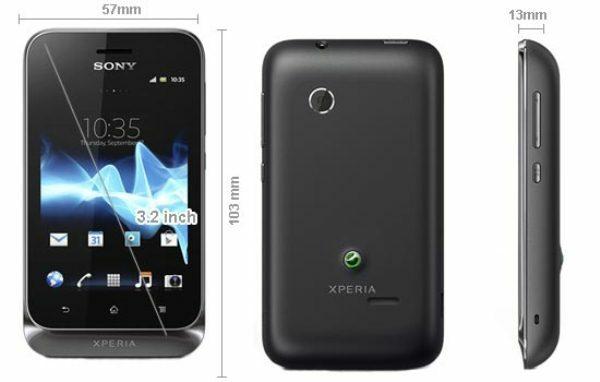 Some other relevant features regarding this Sony model are its Android Ice Cream Sandwich OS, the 800 MHz processor, as well as the Adreno 200 GPU. You will find a Qualcomm MSM7225AA chipset on this device, but also a Stereo FM Radio with RDS and A-GPS technology, the TFT capacitive touchscreen is scratch-resistant, and you will be able to use a 3.15 MP camera on this phone, although there is no secondary one in the front. Before you follow the steps for a proper hard reset, we’d like to take the time to talk about a much softer option. Known as a soft reset, this one can save you whenever the phone crashed or is stuck on a specific screen in the middle of an app. It won’t delete any of the files and won’t have a very aggressive effect on the device. Turn the phone on and fully charge it. Remove the cables, and then open the Main Menu. Go to the Settings folder and choose Backup & Reset. Tap Factory Data Reset and confirm with Reset Phone. If prompted, select Erase Everything, and the device will reboot. Charge the battery and shut the phone off. Remove the attached cables and press Power & Volume Up. Hold both keys and wait for the Sony logo to pop up. Release the buttons and follow the steps on the screen. 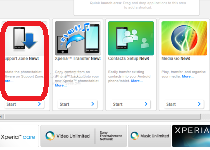 Go to Sony Mobile and download a tool called PC Companion. Install it on your PC and wait for a window to pop up. Out of the 4 available options, choose the first one and press start. Go to Phone/Tablet Software update and tap the button for Start. Select Repair my Phone and follow the instructions on your PC. Select the model when asked to do so, and the device should reboot.